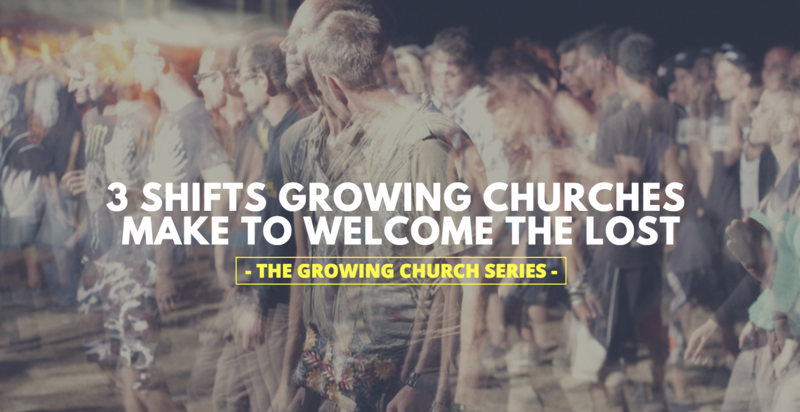 Most churches genuinely want to welcome and reach those who are far from God. Sometimes the reason they don’t is because they get in their own way. 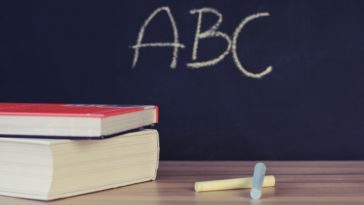 Since you’re here reading this article, I’m sure what’s not holding your church back is a lack of learning, a lack of desire, or a lack of hard work. 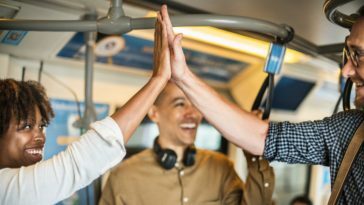 You may need to begin the (sometimes) slow process of shifting the way your church thinks and acts so that it can better reach and welcome the lost. I’ve seen it, you’ve seen it, you may even be living it – many churches count on the pastor to do all the work. 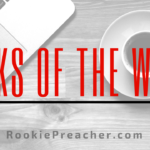 The pastor is the one who is responsible for evangelizing the community, mowing the grass, teaching Bible studies, preaching sermons, planning events, having the perfect marriage, having perfect kids, evangelizing the region, teaching and preaching some more, evangelizing the state, country, and world. All by himself. Of course, no church would claim that to be their expectations, but many pastors feel like it’s the case. Without a doubt, the pastors should be in the community, loving people, and sharing the good news with them when the opportunity comes. The thing that many churches miss is the way the Church has grown from the very beginning. Every person, every part of the body of Christ, played their part. Every person understood that they were an intricate part of the mission of God. Action: Begin to constantly cast the vision of what it looks like when “every member is a minister.” When you’re tired of talking about it, people will just begin to get it. This shift will open the door to lost people because they will have already experienced what it’s like to encounter the gospel of Christ being lived out in someone else. They’ll be hungry for it in their own life. I know this is possible and likely because it is my story. One couple in my life changed what I thought about Christians and Christianity because they lived out their faith. They walked it and talked it, and I wanted what they had. So much so that I asked them if I could go to church with them. When I got to the church they attended, I was already sold on Jesus because I saw the joy He gives to His people. I didn’t understand much of anything, but I could see something intriguing – light in the darkness. Newsflash: many people wouldn’t admit to believing some people are too far gone, but we can clearly see it – especially through social media. It’s easy for us to read or watch someone’s amazing story of being far from God and then experiencing the life change that only comes from God. It’s easy for us to see them and think, wow – only God! But then when we encounter Billy from down the road who is a drug addict, who doesn’t have any clue on what is proper at our churches, comes into your churches we are overwhelmed. I’ve talked with Billy during church. He’s a guy who will talk your ear off. He will tell you about his problems within 5 minutes of the conversation. He will show you his vulnerabilities. He will show you his brokenness. The question is, will he be loved by the people of our churches? For many people, if not most, Billy will be too much for them. They won’t give themselves to embrace his mess. After all, they are there with their Sunday best! 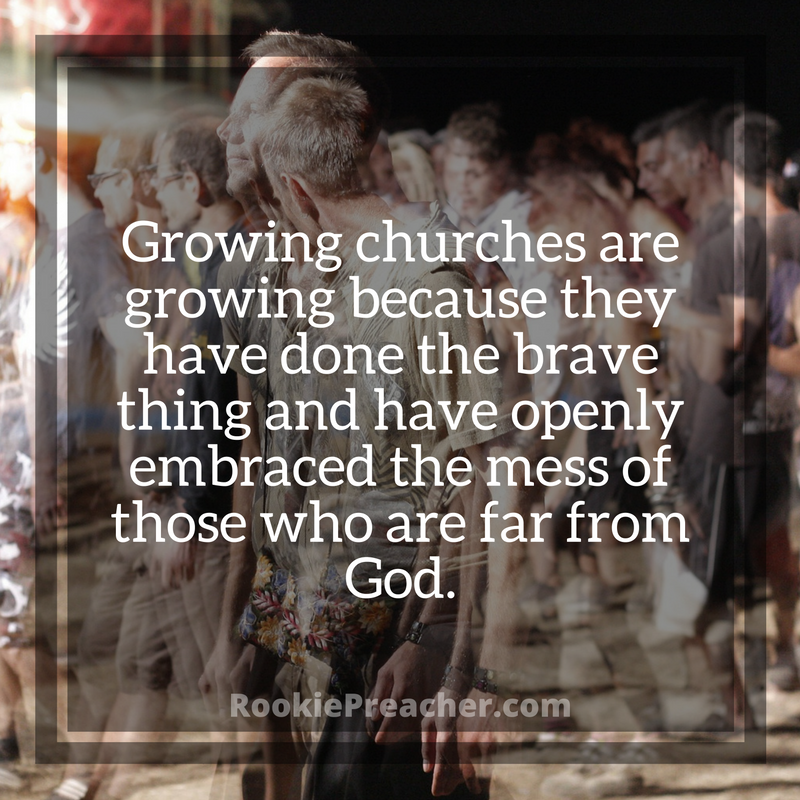 Growing churches are growing because they have done the brave thing and have openly embraced the mess of those who are far from God (and those who are being sanctified by God). They have done this because they believe wholeheartedly that God’s saving power is greater than any person’s sin. No person is too far gone. Action: There are people in your church who have a passion for ministering to those who are struggling with the messes of life. They are likely people who have also experienced these struggles. Find them, empower them, and learn from them. 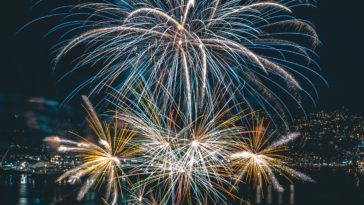 And this leads us to the next shift because, in order to know people’s stories, transparency and authenticity have to be a part of your church’s DNA. When people experience what it’s like to be in the midst of a church community, do they experience real people with real struggles or do they experience a bunch of people with their church face on? I could go as far to say that masking your problems is heretical. That being a private person who isn’t willing to share what’s going on in your life is the antithesis of what we’re called to in Scripture. The Church is supposed to be a community of people who are openly bearing one another’s burdens (Galatians 6:2). It’s not supposed to be a community of people who are walking around with masks on, trying to convince everyone that everything is okay. In fact, when this happens, it’s harmful to everyone. And make no mistake. This starts at the top. 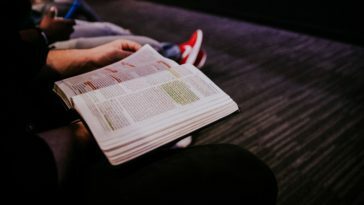 If the lead pastor isn’t willing to be real with the congregation, the congregation will likely not be real with each other, let alone someone who is visiting. 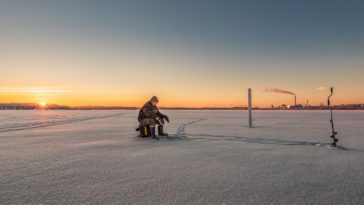 Lost people know that there are struggles present in others, even those in a church, but they are wondering if they will encounter people who are honest about it. Action: The next time you stop yourself from being real with someone because you’re the pastor, pause and reset. If you want to connect with those who are far from God, share about your struggles and God’s power. That’s the good news, isn’t it? Then see the culture in your church begin to change. If you’ve noticed, these three shifts are really under-the-surface things. Reason being, churches that are unwelcoming to the lost have under-the-surface problems that manifest on the surface. 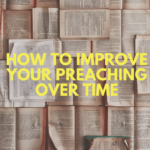 But if you’d like more on this topic and want even more actionable things your church can do to be more welcoming to the lost and more effective in reaching them, watch the sermon below. Kenny White, who wrote on how church governance can help or hinder church growth, preached this message to The Crossing. 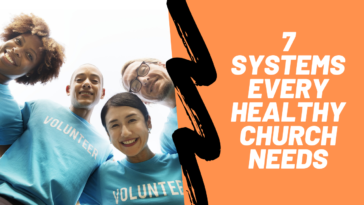 In it, he lays out 4 qualities of a church that is FOR the community. What Shifts Would You Add to the List? Let us know in the comments below or on social media (Twitter | Facebook Group | Facebook Page).